You want to hire an A+ SEO expert. You’re sitting in front of your computer, scrolling through dozens of applications for the dedicated SEO position you posted. You’re ready to set up interviews but you need to focus on the right person. A real SEO expert. Your eyes glaze as you view yet another resume, another cover letter, another “expert, detailed-oriented and results-driven” SEO candidate. How do I hire the best SEO without hesitation? How do I know she is the best one for this job? How do I assess his credentials? What skills should she possess? What do I need to know about him? What’s truly important in an SEO expert? What’s not so important for SEOs today? How can I be 100% confident in my decision? 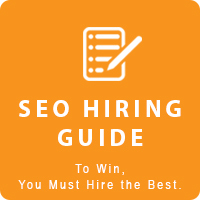 If you need to hire dedicated SEO experts now or in the future, run a marketing agency, or are looking to land your next big SEO job, this comprehensive guide is for you. It’s important to have an effective system for evaluating each SEO resume as it crosses your desk. What I’m providing is a filtering system. Your goal in evaluating resumes is to glance at all of them, read some carefully, interview a few, and hire one. 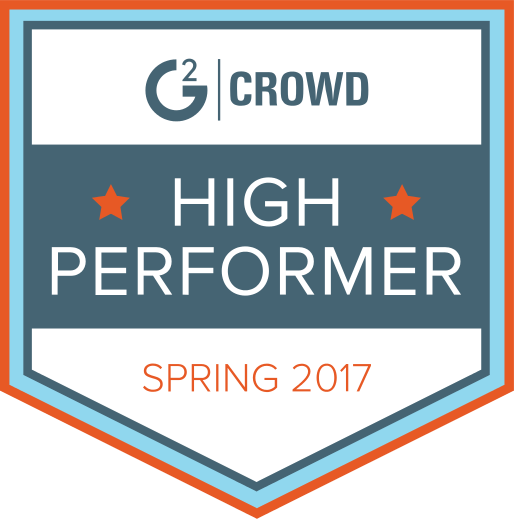 You want to hire the best candidate on the first attempt. The system I describe allows you to quickly narrow your search to a small pile of promising resumes. How does this system work? Think of it as a filter. Here is a summary of the four criteria that are used to evaluate each SEO. Candidates that fail to meet each of these four criteria should be eliminated from your consideration. Let’s look at each criteria in detail. Always prefer a candidate with a 4-year degree. If a candidate meets all of the other hiring criteria in this guide with a high school education, pay extra attention to their professional and foundational skills (mathematics, language) before hiring them. I recommend hiring someone who has graduated from college. A ‘marketing’ or ‘Internet marketing’ degree is not important. Nor are degrees like ‘advertising’ or ‘business.’ SEO is an interdisciplinary skill that involves statistics, mathematics, technology, logic, language, creativity, and more. In fact, the best SEO candidates come from STEM fields. STEM stands for Science, Technology, Engineering, and Mathematics. Data shows that STEM graduates gravitate toward the healthcare sector, but a similar number will look for careers in computer and information sciences, of which online marketing and SEO are specialties. Sometimes it takes a geeky bent to be a good SEO and the STEM fields are awash with aspiring geeks. Should you interview a recent graduate with extremely limited experience? I don’t recommend it. Plum internships and summer jobs notwithstanding, I recommend that you hire an SEO who has real-world career experience. Little else can substitute for agency work or in-house SEO. Recent graduates are inexpensive hires. Hiring them won’t break the bank, but nor will an experienced hire. The salary difference between a fresh graduate and a 3-year experienced SEO is negligible, while the impact difference is enormous. Recent graduates are not SEO experts or professionals. The 2015 job market allows employers to find more-qualified candidates at competitive annual salaries. There are SEO courses, yes, but no official board has risen to add alphabet soup endings to a person’s name. The reason? SEO is a nascent field, and the everflux of algorithm changes, procedures, and tactics, means that SEO does not stay still long enough to codify any standards. Vocational skills come directly from job experience when it comes to SEO. Start by scanning the resume for the terms SEO, content, strategy, and marketing. This seems obvious, but depending on the candidate pool you’re sourcing, you might be surprised at the variety of applicants. SEO usually appears in the candidate’s current position title or stated resume objective. You’ll also want to see it in their previous position titles. This shows you that they are a specialist. Editor’s Note: Special thanks to the real “Tom Middleditch” who graciously lent us his identity for this example. Professional SEOs will likely have the term in their LinkedIn headline. Today, content marketing and SEO are locked in a symbiosis. The person you hire should show an awareness of this in his or her resume. LinkedIn’s Skills feature is an easy way to identify the candidate’s content proficiency. Here is one candidate’s ‘content marketing’ skill listed on LinkedIn. A competent SEO professional must have strategic capabilities. You can easily hire offshore SEO technicians to perform many basic SEO tasks. For a pro SEO, however, you need someone who can integrate the mechanics of SEO into broader marketing strategy. Although the word ‘strategy’ may not appear, the basic idea should be present. For example, the following candidate lists a variety of skills in the web marketing arena, all of which suggest an integrated approach to SEO. How can we define an integrated approach? An integrated approach views SEO as part of the digital marketing milieu. SEO is a marketing methodology, and it must interact with other methods such as paid search, content marketing, branding, PR, and social media. ‘Strategy’ runs the risk of being a buzzword. Nonetheless, an overall strategic vision is critical. SEOs with a strategic mindset can better adapt to the integrated approach discussed above. SEO is part of marketing. If you hire someone whose education or experience includes marketing, you will be well served. Simple references to ‘online marketing,’ ‘web marketing,’ or ‘digital marketing’ will be sprinkled through most resumes. If you have a large stack of applications, limited time, and a clear knowledge of who you want for the position, start filtering by these words. I strongly suggest hiring an SEO with significant experience applying SEO concepts to business problems. How much? Here is a summary. 1-3 years – Maybe. A couple of years in SEO is enough time to get your ears wet and specialize. Candidates with this level of experience probably know their stuff. The risk is that they can’t apply their skills as readily as someone with more experience. 3-10 years – This is the sweet spot. SEOs who have a few years under their belt know the ins and outs of the marketing world, and have watched it evolve. 10-20+ years – Vet them. I’ve encountered SEOs who claim “twenty years of experience in SEO.” While this claim is technically possible, it’s dubious. Google is only 17 years old. Someone who has a decade or more of experience may be suited for a managerial position if that is what your position requires. Keep in mind that salary requirements (often $120,000 or higher) of someone with this level of experience could be a non-start, depending on your budget and pay ceiling. Length of experience is only one experiential factor to keep in mind. The other is type of experience. Agency – Someone who has worked in an agency, firm, or consultancy, serving a variety of different clients. In-house – Someone who is an employee of a business, responsible only for their employer’s SEO results. There are pros and cons to both. If you are hiring an SEO for your agency you may tend to prefer someone with agency experience. If you are hiring an SEO for your business, you may prefer someone with in-house experience. The specific nature of SEO work is comparable between in-house and agency SEOs. Often, however, the organizational, communication, and management skills will be higher in a candidate who possesses in-house experience. In general, in-house SEOs tend to be more results and deadline oriented while agency SEOs tend to be more concept, idea, and process oriented. Pick the right fit for the job. In-house SEOs have faced the additional burden of coordinating various departments and personnel (development, marketing, design, legal, content) to deliver successful SEO outcomes. It’s often a herculean task, but one that builds a high level of expertise. Search marketing is a broad field that tends to divide into five major SEO archetypes. After you’ve spent time with the resumes, you’ll quickly begin to define who’s who in this five-type taxonomy. It’s up to you to decide what type of SEO you want to hire. This is an important part of the filtering process. Why is it important? Because the type of work they’ve done in the past suggests the type of work that they’ll do well in the future — for you and your organization. Looking at the past is the only guide we have to understanding the future. Onsite – This SEO knows how to make a site rank, in the back-to-basics sort of way. They can tell you exactly which keywords to target, the type of content the site needs, and how to structure the site architecture for optimal crawlability and indexation. They spend a lot of time the site itself. Technical – A technical SEO works under-the-hood. They will be able to diagnose site speed challenges, create a redirect map, advise on DNS settings, enable compression, and recommend app interstitial avoidance. Offsite – The offsite SEO has experience in removing link penalties, building links, and figuring out smart ways to reach influencers and leverage social media to create a strong link profile. Local – Local search marketers work fluently in the world of NAPs, directory placements, customer reviews, local packs, and Google maps. Their local SEO skills give them the ability to generate higher search visibility for brick-and-mortar businesses. Generalist – General SEOs are familiar with each of the above skills, but not at a deep level. Their experience could also include paid search, design, development, and a medley of other digital marketing tactics. So which SEO archetype should you hire? Use this cheat sheet. Does your agency also develop websites for clients, and you want to augment your web development with SEO? Hire an onsite SEO. Are you constantly consulting with clients on mobile search questions and technical issues? Hire a technical SEO. Are you facing requests from clients to fix Penguin penalties or manual penalties? Hire an off-site SEO. Does your business primarily serve brick-and-mortar businesses who want to increase foot traffic? Hire a local SEO. Does your agency work loosely around digital marketing, and you simply need someone who can bring clarity to your search marketing or pivot on vastly different SEO tasks? Hire a generalist. Do you need an SEO to handle all of your company’s SEO needs. Hire a generalist with in-house experience. The better you understand what you need, the choosier you can be when selecting the specific type of SEO for your organization. If you hire someone with a wealth of experience in removing site penalties, can they jump in and start performing keyword research and mapping? Probably, but they might not be highly skilled at it. They may dislike it. They may prefer, instead, to work on penalty recovery, link strategy, or other offsite link profile issues. What they’ve done is an indication of who they are. Make sure you select the type of SEO who is best suited for the project list that you have lined up. In the following section, I provide a broad overview of the hard skills that an SEO should possess. Let me to warn you about something. This is a long list. It is unlikely that you will find an SEO with experience in every one of these hard skills. That’s fine. If a candidate starts striking out on several of the following, you have reason for concern. You may not find a power player who can perform exceptionally in each arena with Gandalf-like magic. You should, however, be able to find a professional SEO who has sunk his teeth deep into one or more of these skills. The most important takeaway from this section is as follows: Familiarity with all; deep experience in some. Social media experience on all major platforms to earn links and shares. Facebook, Twitter, LinkedIn, Google+ are the top platforms. Pinterest, YouTube, Instagram, and Snapchat, also help. Analytics and reporting – Google Search Console (formerly Google Webmaster Tools) and Google Analytics are fixtures in the SEO world. Algorithm changes – Keeping current with Google’s algorithm changes is important, as well as knowing the difference between Panda, Penguin, and Pigeon. When you interview a prospective SEO, you may wish to bring up the following terms. Though the candidate may not be experience with each of them, he or she should at least be familiar with the terms and concepts. He or she should be comfortable discussing them. Google Analytics (essential) – Your SEO must have experience in GA. GA certification is great to have, but not required. Google Search Console (formerly Google Webmaster Tools) (Essential) – This suite of webmaster tools is just as important for SEOs as it is developers and webmasters. Every component of this system is crucial for SEOs, including the disavow tool. Google PageSpeed Tools – This diagnostic tool isn’t hard to use, but it is important to understand and translate the information into actionable methods. Alternate site speed analysis tools are Pingdom and Yslow. Google Keyword Planner – Understanding search trends and data is an indispensable part of any SEOs job. Screaming Frog – Any onpage or technical SEO must be comfortable using Screaming Frog to crawl and analyze a domain. Raven Tools – A broad suite of marketing software, primarily focusing on reports. Moz – Moz has been a leader in SEO thought and strategy. Their tools, Open Site Explorer and others, provide a wealth of data-driven findings that will enhance any site’s SEO. Majestic – Majestic’s primary value is in link data, including backlink checkers, and the levels of “trust” that certain types of links provide. Ahrefs – Ahrefs also provides link data, but their expanded insights into social sharing and traffic metrics has provided increased value. Buzzsumo – Successful content marketing depends on comparative data of successful efforts. Buzzsumo is the go-to resource for this information. Whitespark – Whitespark is exclusively for local SEO. Like UpCity, it provides advanced local SEO insights and information. SEMRush – This SaaS features a wealth of competitive data, including information on organic and paid traffic. Link Research Tools – Many penalty-removers rely on LRT to provide them with a list of toxic links for removal requests and disavowal. As long as the SEO candidate has experience with the top two tools (Google Analytics and Google Search Console), experience with some other tools, and a willingness to find and use new tools, you can be assured that he or she can solve SEO problems. I want to step back from this stark list of skills, and trace out the contours of an SEO skillset. As I mentioned at the beginning of this section, your SEO hire should have deep experience in some, but awareness of all. I referred to this as an integrated approach to SEO. The broader the field of marketing becomes, the more difficult it is to find a marketer with a broad array of marketing skills. For example, some of the best SEOs I know have no idea what conversion rate optimization is all about, even though CRO is a critical component of digital marketing. Is it important to hire an SEO who possesses wide experience? Not necessarily. If you can find a candidate who does what you want them to do, then you win. However, you should assess the candidate’s other areas of skill and experience. Take a look at this T-Shaped model from Forrester. The top horizontal of the T is your SEO’s broad knowledge and general awareness. They know about a lot of stuff. The vertical of the T is the SEO’s deep experience in, say, technical analysis, site speed improvements, or site architecture. There are alternate skillset diagrams — the I and the M. In the field of digital marketing, T-shaped functionality works best. Rand Fishkin created a popular T-shaped web marketer sketch. Your SEO hire might look something like this. Expanding on this, Chuck Aikens of Volume Nine in Denver also developed a T-shaped skill set, listing some of the relevant skills that a web marketer could/should possess. All of these are helpful guides in evaluating an SEO’s skills, but nothing can replace your own knowledge of the tasks and responsibilities that your business needs fulfilled. You will spend most of your time evaluating a candidate’s technical wherewithal. Can they do SEO? Equally important are the SEO’s soft skills. I’ve had to bid adieu to SEOs who were veritable geniuses but lacked the soft skills. Hard skills are only half the equation. Soft skills are the other half. The following list won’t sound too different from general hiring pablum. My attempt is to sharpen each of them, so you can see how each skill relates to SEO outcomes. Honest – SEOs should adhere to guidelines, best practices, and commit to above-the-board dealings. Sure, integrity matters, but why does it matter in SEO? As you may know, there are two types of SEO practice: white hat and black hat. Black hat tactics are not usually illegal, but they are unethical. Some techniques might be ethical, but they nonetheless pose liabilities for the business. Gaming search engines with fly-by-night tactics and mud-on-the-wall techniques will ruin your agency’s credibility, disappoint your clients, and may penalize sites. An SEO who surreptitiously engages in black hat methods should not be trusted, period. Instead, the SEO should follow Google’s Webmaster Guidelines and accepted best practices. When dealing with clients and customers, your SEO must exude a sense of trustworthiness. SEO is still recovering from the days of hucksters and hacks who scammed millions of dollars from unsuspecting customers by promising first page results and magical ranking upticks. Promising unrealistic results that are dependent on variables outside of the control of the SEO is where you start having problems. I maintain that an SEO, more than most other positions, needs integrity. The sordid past of SEO is only one reason integrity is required. Another reason for integrity has to do with sheer dollar amounts. SEO isn’t cheap. Development isn’t cheap. Web marketing isn’t cheap. Let’s say a client spends $20,000 to develop a new site. The SEO comes along, deals a few dirty tactics, and kapow — the site is penalized, delisted, and removed from the index. Just as a surgeon can kill a patient with a lapse of judgment, an SEO has the potential to do a lot of damage to a website if they are incompetent. Instantly, the client loses the value of the site, the SEO’s fee, and the massive loss of revenue due to loss in ranking. This is a risk that no intelligent businessperson should take. To interact with a shady SEO is akin to purchasing from a merchant who deals snake oil. It’s simply not a good idea. If you whiff any disingenuousness, double-speak, or unethical tendencies, walk away from the interview. Communicative – SEOs must be able to educate team members and/or clients on the how and why of SEO. The SEO should be able to teach, not just do. Teaching requires effective communication. If your SEO can explain how to recover from a penalty, the difference between a 301 and a 302, and what dwell time is, then you are dealing with a capable professional. Communication skills are critical whether you expect your SEO to interface with clients or not. Internal team communication and education is important, as is discussing SEO data with a client. Objective & data-driven – A good SEO looks to take action on statistically significant data and is suspicious of plans backed primarily by hunches, feelings, or intuition. It’s cliche, but crucial. Data matters. All of marketing moves upon numbers, ratios, trends, bar graphs, and pie charts. SEO is even more data-focused than other marketing channels. Objectivity is another component to the SEO’s data side. If the data is partial or lacking, the SEO should maintain an objective perspective on the needs of a customer. Guessing at solutions or randomly trying techniques should not be part of the SEO’s approach. He knows the facts and responds accordingly. Remember, he’s a STEM thinker and this should come naturally. Adaptive – SEO is in constant flux and demands constant learning and ever-improving skills. By “adapting,” I mean that the SEO is a learner. Subscribing to blogs, interacting on forums, attending webinars, downloading whitepapers, researching abstruse topics, performing experiments, and studying the results are all part of the game. In the field of SEO, to stagnate is to die. Leader – An SEO should be able to lead a team towards a goal and convince others of his or her position. SEOs are often responsible for convincing others of the merits of SEO and guiding them toward successful outcomes. Great leaders get SEO results. Great SEOs who aren’t leaders can’t organize all of the needed contributors to march toward an outcome. To hire a winner for your organization, look for someone who exemplifies confidence and followability. Seasoned hiring managers know that “chemistry” is a critical component of the hiring process, even for SEOs. There is no definitive way to assess or even describe such a chemistry. Essentially, the candidate needs to possess a vision, mindset, and attitude that coheres with the existing team. One of the things I look for when I work with people is their mentality. Some people identify as being winners, have intentions and values consistent with being a winner, and tend to win. Others are the opposite. Obviously, you want to hire winners. People who tend to win, will have a history of successes in many areas of their lives. For example, if someone achieved the rank of top tennis player in their state in high school, they (at least then) had a mindset that allowed them to achieve in a competitive setting. Hundreds of others wanted to win that title, but your candidate won it and the rest of the competitors lost. Their tennis mentality and competitive approach translates to the rest of what they do. A person’s achievements are a reflection of their mentality. Looking for a track record of winning (regardless of the area of life it’s in) is a healthy barometer for assessing a person’s mindset. There’s no such thing as a perfect SEO, but there is the right SEO professional for your organization. Like any hiring decision, you’ll face a barrage of options and the nearly impossible task of filtering, analyzing, and deciding. The only way to make the process easier, even enjoyable, is to approach your decision armed with knowledge. Given the vast and convoluted field of Internet marketing today, you will discover huge differences among clients, making the task even more challenging. Knowledge of your particular needs and the SEO’s specific skillset will allow you to hire just the right candidate. I loved article, I have already hired an SEO agency for my business but I will need to consider points as mentioned in the post, Thanks for sharing such a wonderful information. Thanks for the feedback, Siva! Glad it was helpful.